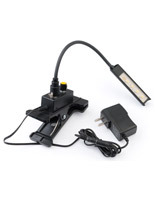 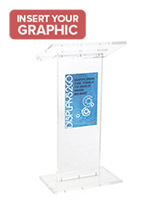 These mobile laptop presentation stands are great for accommodating audio visual speaking aids like computers and tablets. 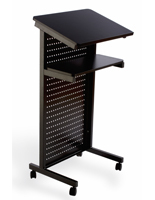 Each podium features a silver steel frame with a black shelf and angled reading surface made of MDF. 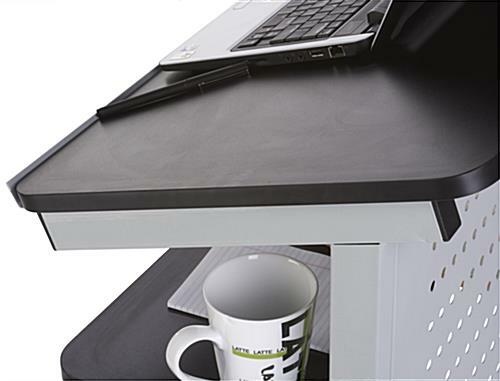 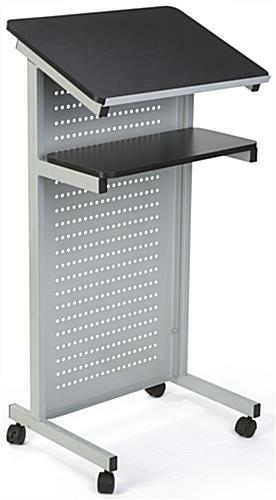 The laptop presentation stands also have a 0.25" deep bookstop that prevents materials from falling off. 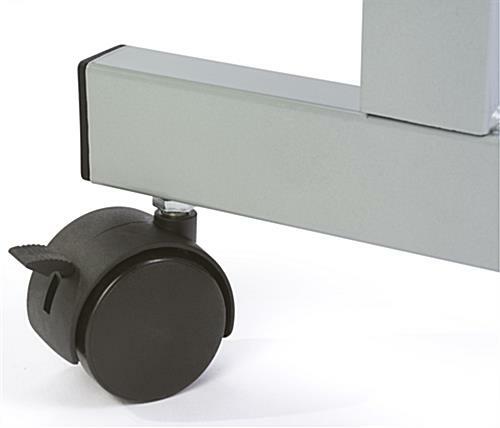 In addition, the audio visual cart features four caster wheels, two of which can lock for stability. 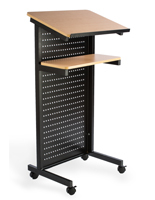 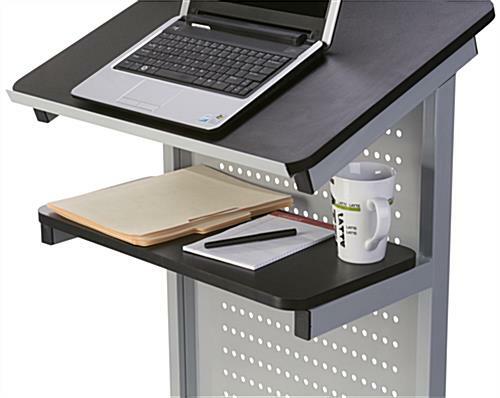 The presentation stands with black shelves also include a perforated privacy panel made of steel. 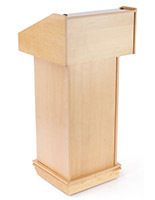 Ideal for corporate offices, schools and more, these podiums can assist with any demonstration. 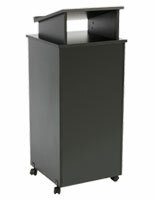 23.3" x 46.5" x 16.5"